We’re all guilty of it at some point. I know I certainly am. You forget about the countless hours of drafting and imagine a cushy writing life where the right words flow effortlessly from your finger tips as you sit in your ideal setting and sip on your favorite beverage. Just for fun, the five keyboard shortcuts I’m going to share with you today will indulge that writing life fantasy a bit … by helping keep your fingers vigorously working away at your craft without interruption. When I’m reviewing a draft, I often see what I want the text to look like faster than I can rearrange it to fit my vision. So, to edit as quickly as possible, I can use keyboard commands instead of moving my hand over to the trackpad on my laptop. Once I’ve selected a portion of text, I can copy or cut it, and then paste it somewhere else in the draft. We’ll get to those actions next. For all the keyboard shortcuts below, a plus symbol (+) will be used to show that you press one key first and then another to get your desired result. You press down the Shift key and then tap on the appropriate Arrow keys until you have your selection. You can also keep the Arrow keys pressed down, but tapping gives you more precise control over which text you highlight. When you release your fingers from the Shift and Arrow keys, the text will remain highlighted, awaiting your next action for what you want to do with the selection. Once you’ve selected text, you might want to copy it so you can paste it and put the exact same word or phrase elsewhere. Sometimes you’ll want to delete or cut a selection of text. Delete or Backspace keys do the trick if you just want to delete, but cutting text allows you to paste it in a different part of your draft. If you’ve selected text, then copied or cut it and now want to paste it, here’s how you accomplish that. When you read your text aloud or proofread from the end of your document to the beginning, you often notice words you overuse. 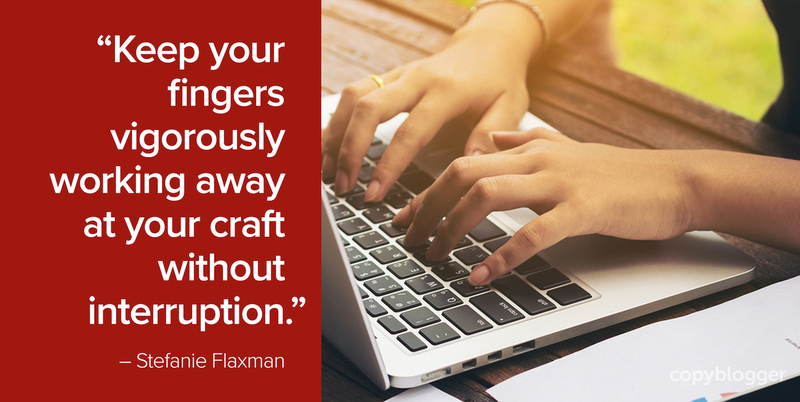 You might also spot misspellings or style errors you’ve made multiple times. To locate specific words or phrases in your draft, you can use the “find” function that makes a search box appear on your screen. It will list the number of instances of the words or phrases that you type in the box and direct you to each. What’s your favorite keyboard shortcut? With practice, these shortcuts become second nature and you don’t even realize you use them. Is there a keyboard command that keeps you in the flow of writing and editing? Perhaps one that saves you time or helps you improve your content? On a Mac, you can also use Shift + Option/Alt and then use left/right arrow keys. This will select one word at a time and is great for selections that stop mid-line. Command + Tab to switch programs. Command + ~ to switch windows within the same program. 🙂 I wont say this shortcut is my favourite one but I would say this is the only shortcut key that I use often! And that is.. Alt + Tab to switch between windows! Command + H to hide windows on Mac. Hey Stefanie, great article. For me, I particularly love Command (⌘) + F as I m using a macbook. What I do is I normally just write an article and then go through searching for keywords/synonyms to optimize my articles accordingly. I also have a mouse even though am using a laptop and I find that very useful. Still haven’t got use to the pad itself on my macbook haha. Cmd/Ctrl + Z (go back a step) This one has saved me heartache so many times. I’m a firm believer in shortcuts. I use all the letters on the left of the qwerty board. And to select text ( 2 clicks for a word, 3 clicks for a paragraph, 2 clicks and a drag for a word and to where you end the drag). Control Z is also useful. It’s an undo command. What I would like is a key where I could add a preloaded paste item, like my email address (so I could quickly fill out comment boxes like the one below) or some other often used text. Any ideas out there people? I’m not sure about adding a preloaded paste item, Barry, but whenever I’m working I have a plain text “template” file open that has URLs, html, and other text that I commonly use. So instead of typing those items, I just copy/paste them. I hope that helps give you some ideas! Ctrl Z (or Command Z) to undo your last action – or keep going and undo several of them. Ctrl A (or Command Z) to highlight your entire text – comes in handy if you want to change the font type or size. And, you can create your own custom keyboard shortcuts by using AutoHotkey. It requires you to go through a small manual and you can easily create quick shortcuts for otherwise complicated tasks. X-Mouse Button Control is another useful software to create custom shortcuts but for Mouse buttons. You can assign right-click to paste copied button or middle button double-click to open a new Text document, etc. I do the few shortcuts but wasn’t familiar with many ones which you mentioned. I use all of these! I also like to use quick commands (on a Windows PC) like: ctrl + u – for Underline, ctrl + b – for Bold. ctrl + z – to Undo last action. There are a few more that you can use but you these are the basic ones for simple writing and editing. I actually am still quite new to using my Mac. I finally made the switch from PC. I’ve got to say that I love it. However, the keyboard shortcuts that I used to be familiar with on PC are totally different than the Mac. It’s definitely taking me some time to get used to using the Mac. However, I have no doubt once I do, I’ll love it. Thanks for introducing me to the shortcut to find a word or phrase on a Mac. I had no clue about that one. I’m going to run through these comments as I have no doubt that I’ll find several other shortcuts that will help me out. Thanks for taking the time to share these with us. In Windows, Shift + F3 toggles through lower case, Initial Caps, and ALL CAPS. I use it more than you’d think. Yes, Garrison, I love that one. I use it all the time. I also use Ctrl + Alt + R (for registered trademark – ® ) and Ctrl + Alt + T (for trademark – ™) frequently. There are a few more that I use to save time, you can use it too. Alt + Tab – Switch b/w Multiple Windows. Ctrl + Tab – Switch b/w Chrome tabs. These might help you too, Cheers! Haha!! Right? I love Control + H even more! So great for global replaces of everything or “nothing,” if you want to eliminate a particular character. The one I use the most probably is Control + Y to repeat the last action. I also use Alt + O + S to get to styles quickly and Alt + O + N to restart numbering in a new list. And Control + Shift + Space to keep text together. So many good ones!